Following the announcement of the national rankings of the Kurdistan Region universities in 2017-18 by The Ministry of Higher Education and Scientific Research, Salahaddin University was ranked first among all the other universities. The University President, therefore, congratulated the staff and students on such a well-deserved accomplishment considering the University has been at the forefront in higher education in the region. The University President also said that this success comes despite the fact the University does not have a campus and a medical college. He also added in an interview that the achievement was expected since the University has been ranked well recently in two reliable organizations for university rankings. 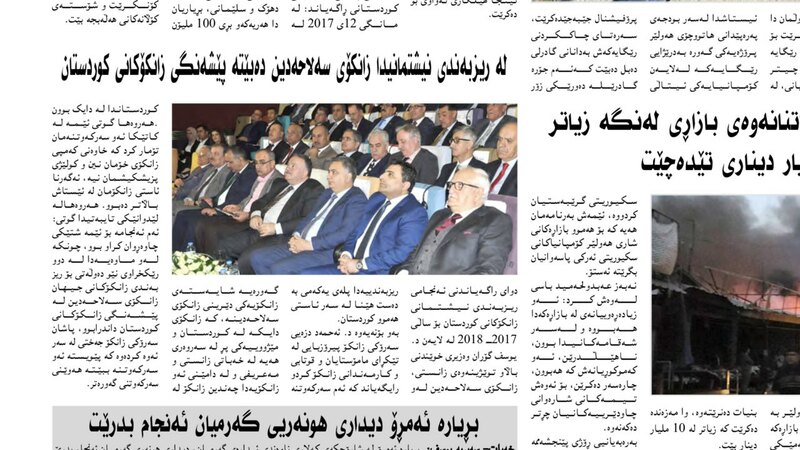 It should be noted that, many media and newspapers have covered the news and recognized the great achievement of Salahaddin University which reflects the hard work made by all staff members (Academic and Administrative).